Below are the top 10 funding rounds closed by Israel companies during the third month of 2019. 1. 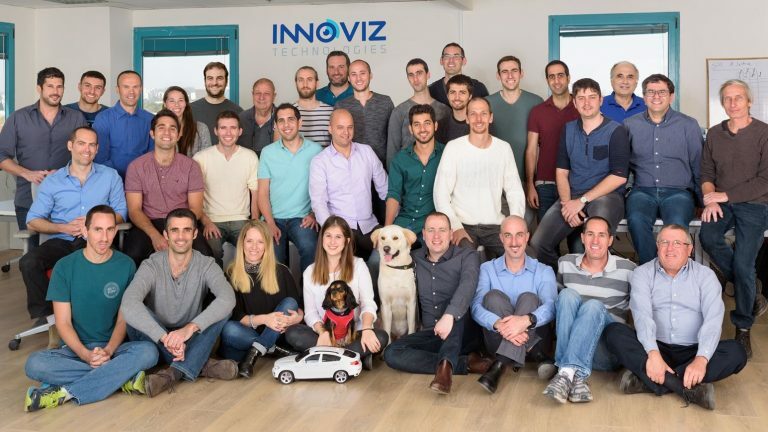 Innoviz Technologies of Rosh Ha’ayin closed a $132 million round from investors including Shenzhen Capital Group, China Merchants Group, New Alliance Capital, Harel Insurance Investments and Financial Services, Phoenix Holdings, SoftBank Ventures Asia and Magna International. To date, the LiDAR startup for the automated vehicle industry has raised a total of $214 million. 2. Lightbits Labs of Kfar Saba (Israel) San José (California) raised $50 million as it came out of stealth. Backers include Dell EMC, Cisco, Micron, Square Peg Capital and Walden International. The two-year-old startup is building faster and more efficient cloud infrastructure to lower costs, reduce cloud energy consumption, and offer better performance and latency. 3. Netanya-based bio-med startup Theranica completed a $35 million funding round led by Israel-based life sciences, technology, and healthcare venture capital firm aMoon. Theranica is developing electrical nerve stimulation technology for controlling migraine headaches. 4. Online rental-property management company Guesty raised $35 million in Series C funding from Viola Growth. Guesty was founded in 2013 and is headquartered in Tel Aviv with offices in Barcelona, Lisbon, Milan and Los Angeles. 5. Herzliya-based Copia Agro and Food Technologies Fund raised $27 million from institutional investors, family offices, private investors and corporates in Israel, Europe, Asia, USA and Africa. Copia is an impact fund focusing on increasing global food security and safety; reducing environmental degradation caused by modern agriculture; and promoting climate change adaptation and mitigation. 6. Hibob of Tel Aviv, New York and London raised $20 million from Bessemer Venture Partners, Battery Ventures, Eight Roads Ventures, Arbor Ventures and Presidio Ventures in an extension of its series A round. HiBob offers an HR platform for fast-growing companies focused on hiring and retaining a younger workforce. 8. Applicaster of Tel Aviv raised $20 million from Viola Growth, 83 North, Pitango Venture Capital, Saban Ventures and Planven Investments Founded in 2009, Applicaster offers a platform for building and managing direct-to-consumer media applications for customers that include DirecTV, Fox, and Viacom. The company also has offices in New York, San José, Miami and London. 9. CyberX raised $18 million in a round led by Qualcomm Ventures, Norwest Venture Partners, Glilot Capital Partners, Flint Capital, OurCrowd and Inven Capital. Headquartered in Massachusetts with a development center in Tel Aviv, CyberX makes cybersecurity systems for companies in the fields of energy, pharmaceuticals, chemicals, oil and gas. 10. Herzliya-based CB4 (Context Based Forecasting) completed a $16 million funding round led by Octopus Ventures. CB4 uses point-of-sale data to identify demand for specific products in brick-and-mortar stores.